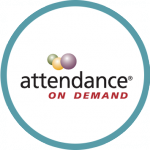 Foothills Charter High School chooses Attendance on Demand! Harris School Financial Solutions is excited to announce that in August 2015, Foothills Charter High School, located in Danielsville, Georgia, prepared for the implementation of Attendance on Demand (AOD), a cloud-based time and attendance service for highly secure, cost-effective labor management. By choosing AOD, Foothills Charter High School will have the ability to track, record and verify employee time, attendance, and compliance with ACA. This GA school financial solution also allows districts to improve the accuracy of payroll processing due to seamless integration with existing payroll, human resources, and other key office systems.